Since the first Stagecoach was staged in Indio in 2007, the country music event has grown in popularity attracting fans from around the globe who come to soak in the sun, fun, and plenty of country, Americana and rock 'n' roll music featured on a number of stages positioned around the Empire Polo Club in Indio, CA. This year the sold-out event once again offered an outstanding mix of up-and-comers, modern-day hit makers and legendary veteran artists. Here is a rundown of my favorite and not-so-favorite performances that played out at Stagecoach Friday-Sunday, April 24-26. Lindi Ortega performing at the Palomino Stage. Lindi Ortega was the first performer to take the stage at Stagecoach, hitting the Palomino Stage at 1 p.m. on Friday. No worries. The Nashville-based singer performed a number of wonderful songs including the haunting opener "Heaven Has No Vacancy," the memorable country ballad "Cigarettes & Truckstops" and a convincing cover of the Johnny Cash staple "Ring of Fire." Pegi Young & the Survivors Although Pegi Young is best-known as the long-time wife of Neil Young (Neil filed for divorce in July 2014 after 36 years of marriage), the singer-guitarist has quietly gone about establishing a burgeoning artistic career via a series of well-received albums dating back to her 2007 self-titled debut. Performing early Friday afternoon, Pegi Young & the Survivors brought their solid mix of roots rock, blues and folk to the Palomino Stage for an animated 50-minute set. Highpoints included "Better Livin' Through Chemicals" (a great swipe at the medical establishment's obsession with providing prescriptions drugs for everything) with its jazzy-blues intro, an artful cover of JJ Cale's "Blue Sunday," and the straightforward roots rock of "Walking on the Tightrope." Lindsay Lou and the Flatbellys brought an energy-filled bluegrass sound to the Mustang Stage. The Michigan quartet impressed late in its set with a shining reworking of The Beatles' "Rain" complete with exceptional three-part harmonies. The Lone Bellow performed the single most artistically-arresting set I caught all weekend at Stagecoach. The trio mixed up country, folk, bluegrass and indie rock in a 50-minute powerhouse performance including the soaring "Then Came The Morning" and the anthemic "Green Eyes and a Heart of Gold." Sturgill Simpson impressed a big crowd at Coachella the previous weekend, so it's no surprise he attracted a similarly-large throng to see him perform at the Palomino for a 45-minute set featuring his modern-edged take on traditional country music highlighted by versions of "Long White Line" and "Living the Dream" off his latest album "Metamodern Sounds in Country Music." Kacey Musgraves on the Toyota Mane Stage. Because of a myriad of performances playing out around the same time, I only got to catch Kacey Musgraves for about 15 minutes. I had been interested in seeing the young star since she exploded with the release of 2013's “Same Trailer Different Park,” and I was not disappointed. The personable 26-year-old kicked things off with the infectious single "Silver Lining" and continued to turn heads with the bouncy "Stupid." She also performed the new song "Biscuits," set to be included off her summer 2015 release. The Time Jumpers are no ordinary group. The nine players who shared the Palomino Stage have collectively played a major role on the country music scene over the past 30 years. With Vince Gill and Kenny Sears among the troupe's best-known musicians, the line-up performed selections that never failed to shine. Among the highlights I caught was a western swing-styled "Sugar Blues," and Gill singing "Together Again," the latter featuring some amazing pedal steel guitar work from Paul Franklin. Steve Earle & The Dukes kicked off their set featuring blues-flavored material from the their 2014 album "Terraplane," including the catchy "Baby Baby Baby (Baby)" and authentic "You're the Best Lover That I Ever Had." However, the crowd packed in front of the Mustang Stage went nuts when Earle and company launched into the driving "Guitar Town" from his 1986 debut. And the energy quotient was increased even higher when Earle and his Dukes rocked through his masterwork "Copperhead Road." Merle Haggard, now 78, is one of country music's most beloved living legends. His performance inside a packed Palomino Tent was highlighted by emotional takes on timeless classics including "Mama Tried," "Silver Wings," "If I Could Only Fly" and the big sing-along "Okie From Muskogee." Haggard's voice continues to be a thing of wonder, conveying a lifetime of emotion with every note. Few country music superstars are as smooth and polished as Tim McGraw who closed out day one of Stagecoach with a set that delivered a mix of hits and his easy-going personality. Opening with the high-octane "Truck Yeah," the night also featured the Louisiana native singing the melodic "Something Like That," the ballad "Southern Girl" and one of his most beloved songs, "Live Like You Were Dying." Traditionalist Daniel Romano took the stage early on Saturday, and those who caught his impressive 35-minute set will long remember his ability to mine the sonic territory first explored by the late Gram Parsons and celebrated here with a set of strong original songs. Nikki Lane was one of a number of young artists who impressed throughout the 3-day event. I caught her second performance of the day, which was staged on the Toyota TRD Pro Stage. Her authentic soprano was used in the service of striking outlaw country music gems including "Man Up," and "Sleep With a Stranger." Blessed with a genuine swagger, authority and presence rare in the genre, Lane seemed surprised when a large group started line dancing during her performance. One of those magic Stagecoach moments to be sure. Nashville-based duo John & Jacob (Birmingham, Alabama natives John Davidson and Jacob Bryant) impressed from the moment that started performing on the big Mane Stage. With harmonies recalling the Everly Brothers and Dave Clark Five, the newcomer's 35-minute set was highlighted by "Ride With Me" and a cover of the aforementioned Everly Brothers' "Wake Up Little Susie." Cassadee Pope might have tore things up when she won the third season of NBC's "The Voice," but this writer found her Stagecoach set mostly a dud. Performing on the Mane Stage, the 25-year-old Florida native's set included karaoke-worthy renditions of Tom Petty's "I Won't Back Down" and a watered-down take on The Eagles' "Hotel California." Singer-actor Charles Esten – best known for his lead role playing Deacon Claybourne on the ABC-TV series "Nashville" – was a popular name able to draw a good share of concertgoers from the Mane Stage to come check him out in the Palomino. I found his set a mixed bag; I enjoyed some of the songs and others I didn't. However, he was never less than engaging and pleased the faithful with "Whiskey Lips," "Hot One" and "He Ain't Me." Capping off an especially strong day of performances, both the legendary Gregg Allman and ZZ Top. Both artists delivered sets that extended beyond their greatest hits (although the audience got all of those), and the performances each served to celebrate the unique careers of both groundbreaking artists. Allman's set was particularly amazing to me. I caught the 67-year-old legend a few years ago and was less than impressed with his low-key performance. His hour-long showcase inside the Palomino was the complete opposite. From the get-go Allman seemed thrilled and the capacity crowd couldn't have been more reverent. Highlights included a sweeping "I'm No Angel," an uptempo blues cover of Dickey Betts' "Southbound" and wistful "Melissa." However, I thought Allman's scorching version of the rock 'n' blues burner "Whipping Post" was my favorite offering (notable for guitarist Scott Sharrard's slide guitar playing). ZZ Top rocking the Palomino Stage at Stagecoach. Rock and Roll Hall of Famers ZZ Top packed (and I mean packed) the Palomino Stage. Beyond performing all of their radio hits ("Got Me Under Pressure," "Gimme All Your Lovin'," "Sharp Dressed Man," "Cheap Sunglasses" "La Grange" and more), the Texas trio dug deep to perform early nuggets as well as material off their most recent studio album (2012's "La Futura"). I was particularly blown away by the group's performance of the new song "Flying High," with its melodic chorus, and how that sterling performance segued into a potent tribute to Jimi Hendrix via a rocking cover of "Foxey Lady." The band ended its memorable 75-minute set with a sing-along version of their hit "Tush." Nashville provided more than its share of artists at this year's Stagecoach, which amounted to a good thing. Singer-songwriter Andrew Combs performed a style of Americana roots rock that blended Jayhawks-styled tunefulness with Neil Young country folk. Highlights included the infectious "Foolin'" complete with three-part harmonies, and the beautiful "Please, Please, Please." Logan Brill could well be one of the next big things in country music. The young singer – already a master at performing contemporary country – was especially expert when singing a potent version of the aforementioned Combs' "World Still Round" and the Dolly Parton-penned classic "Jolene." Even though he performed a mere 25 minutes, Chris Janson delivered my least favorite outing of the long weekend. The Nashville-based singer-songwriter was simply too imitative of a slew of other modern-day performers during his six-song set. His songs proved to have plenty of hooks, but didn't extend beyond a party-minded approach. His single "Buy Me a Boat" was creatively able to incorporate a bit of the Joe Cocker hit "Feelin' Alright" into the mix making for the one bright spot in the set. Classic six-man Southern rock outfit Outlaws unleashed rousing versions of the band's best-known songs, including a breezy "There Goes Another Love Song" and a 12-minute blistering version of "Green Grass & High Tides." The band also thrilled with the fiery closer, "(Ghost) Riders in the Sky." Eric Burdon delivering rock 'n' blues at Stagecoach. Eric Burdon and the Animals brought their unique and enduring style of classic rock blending blues, psychedelic rock and R&B to the Palomino Stage, offering up one classic after another to the delight of an enthusiastic crowd. The opener "Don't Bring Me Down," a reworked (and reggae-tinged) "Don't Let Me Be Misunderstood," hard rocking "It's My Life" and blues-styled take on "The House of the Rising Sun" made for a magical late afternoon set. What would the final day of Stagecoach be without a little bluegrass? Thanks to the sterling talents of Hot Rize, genre enthusiasts got a heaping dose of bluegrass to close out the Mustang Stage. I only got to watch the group for a few minutes, but was very impressed by their virtuoso musicianship and how they got a small crowd moving and cheering to their top-tier musicianship. While George Thorogood and the Destroyers definitely helped fuel the party inside the Palomino, the band's boogie rock grew tedious over the course of 75 minutes. Thorogood's slide guitar and limited range as songwriter and singer didn't offer enough artistry to live up to many of the weekend's best performances. The highlight of his set was likely the performance of his hits "I Drink Alone" and "Bad to the Bone," but even those songs sailed to soar. You can read writer George A. Paul's overview of 2015 Stagecoach posted on the Music News Nashville site here. 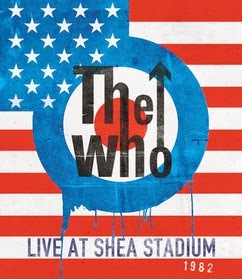 This June, Eagle Rock Entertainment will celebrate the 50th Anniversary of The Who with the first ever DVD, Blu-ray, and Digital Video release of Live At Shea Stadium 1982. This is the first official release of the full show and features restored footage and newly mixed sound. 2015 is a year of even higher profile than usual for this legendary band - with their 50th Anniversary European/North American tour taking place this summer. Live At Shea Stadium 1982 shows exactly what their reputation has been built on. What do rock 'n' roll legends AC/DC and Steely Dan, modern-day favorites Florence + the Machine and Interpol, Americana champions Sturgill Simpson and Ryan Adams, underground heroes Sloan and Built to Spill and emerging greats Hozier and St. Paul & The Broken Bones have in common? All were among the outstanding performers I caught at the second weekend of the 16th edition of the Coachella Valley Music and Arts Festival in Indio, CA this past weekend (April 17-19, 2015). And while many of the rousing performances did come down after nightfall on all three days of the fest, there were simply too many reasons to not come early every day despite the 90+ degree heat typical for the eastern reaches of Southern California's Coachella Valley in late April. Take Friday, with The Ghost of a Saber Tooth Tiger hitting the Outdoor Theatre before noon. Led by singer-guitarist Sean Lennon (son of John Lennon and Yoko Ono) and bassist Charlotte Kemp Muhl, the duo and four other musicians performed a 40-minute set of artful psychedelic pop-rock. Among the standouts was the melodic "Animals" bolstered by some winning vocal harmonies featuring the couple and "Midnight Sun," the latter featuring Lennon trading lead guitar lines with another guitarist. Although psychobilly pioneer Reverend Horton Heat is no stranger to performing in Southern California, it was a treat to catch singer-guitarist Jim "Reverend Horton" Heath, upright bassist Jimbo Wallace and drummer Scott Churilla tear it up inside the Mojave Tent at Coachella. The trio attracted a pretty good-sized crowd for the early afternoon, rocking through "Psychobilly Freakout," "Smell of Gasoline" and "The Devil's Chasing Me" with Heath showing time after time why his guitar work is as impressive as when he released his debut album 30 years ago. One of my favorite sets of Friday played out in the Gobi Tent where legendary British band Ride performed a 50-minute set that was as powerful as anything I caught all weekend. I was blown away with the quartet's fiery brand of britpop, with singer-guitarist Mark Gardener and singer-guitarist Andy Bell leading the outfit through memorable originals including the dreamy "Dreams Burn Down," "Leave Them All Behind" (featuring nifty harmonies) and the band's best known song "Vapour Trail." Few groups arrived at 2015 Coachella with the well-timed buzz of Athens, Alabama export Alabama Shakes. Mixing up roots rock, blues, soul, '60s garage rock, folk and more, the quartet definitely thrilled an enthusiastic crowd gathered in front of the Outdoor Theatre for an early evening outing. Led by singer-guitarist Brittany Howard, the band featured material off their just-released sophomore effort "Sound & Color." Opening with a mighty blues rocker "Hang Loose," the tune's groove recalled the Rolling Stones rhythm section at their finest. Later, the soulful ballad "Rise to the Sun" showcased Howard's emotive soprano in spades. New York's Interpol is the perfect Coachella band. After dark, the outfits mix of driving rhythms and neo-goth alternative rock just plays out perfectly in front of the Coachella Stage's expansive field. Taking the stage just as it started to really get dark, the band got well-deserved cheers for the orchestral rocker "Evil" and guitar heavy "Everything Is Wrong" (off the band's excellent 2014 album "El Pintor"). One of the late set highlights was a riveting take on "PDA," with the band setting out slowly with a bass-anchored groove before the song exploded into a driving and hypnotic rocker. Few outside of the smart folks at Goldenvoice (the concert promoter that puts on Coachella) could have predicted that jazz-rock group Steely Dan would not only be booked to perform at Coachella, but that the classic rock radio favorites would fit in so well at the event. But to be sure, Donald Fagan and Walter Becker and company couldn't have been more welcomed and embraced by young and old at the Empire Polo Club. Indeed, this writer had the fortune to catch Steely Dan just two days earlier at the Santa Barbara Bowl and it was fascinating how the duo was able to adapt their set list and approach to tackle the young demographic at the festival. From the energetic opener "Bodhisattva" and nuanced "Black Friday" to a mind-blowing one-two-three punch of "My Old School," "Reelin' in the Years" and "Kid Charlemagne," the group won over the audience with well-known material and stunning musicianship that never faltered. Guitarist Angus Young of AC/DC. For more than four decades AC/DC has survived more than the band's fair share of challenges while moving on despite little evolution of its sound. Indeed, when original lead singer Bon Scott died in February 1980 founding members Malcolm and Angus Young replaced him with Brian Johnson and the band went on to release "Back in Black" (one of the best-selling albums of all time). The group has also weathered the loss of drummer Phil Rudd (twice) and most recently, Malcolm Young who was replaced last year by his nephew Stevie Young. Against that backdrop, AC/DC simply shook Coachellafest like they were a young band just out of the gate. Opening with "Hell Ain't a Bad Place To Be," the band proceeded to tear through one riff rock-styled nugget after another. While Johnson's vocals were admittedly ragged, there is no denying the power of AC/DC to thrill in 2015. Angus Young's lead guitar work has always been the ace in the band's pocket, and his lead work provided non-stop appreciation of his talents. "Back in Black," "Shoot to Thrill," "Thunderstruck," and "Hells Bells" were among the early classics unleashed. Material from the band's latest studio album "Rock or Bust" ("Play Ball," "Baptism by Fire") came off just as strong. And when the band performed "You Shook Me All Night Long," you would have thought Coachella had morphed into a hard rock festival with the excitement in front of the main stage. Other solid artists I caught on Friday included George Ezra on the Mojave stage, Australia's siblings duo Angus & Julia Stone, Tame Impala, and The War on Drugs (I was only able to catch 20 minutes of the latter's set but was completely impressed). After surviving a marathon-length Friday at the Empire Polo Club, I was back before noon on day two to take in another massive helping of music. Only 22, Southern California native Ryn Weaver impressed in her first-ever outing at Coachella. Performing inside the Mojave Tent at 1:15, she nevertheless attracted a good-sized crowd with her energetic stage presence and high-powered vocals. Backed by a four-man band, she often interacted with her musicians and was emotional when speaking about her family's roots in the Coachella Valley and the recent death of her grandfather who she had hoped would see her perform at the fest. She got the crowd going with her new dance-styled "The Fool" and her best-known song "OctaHate." British hard rockers Royal Blood had not been on my radar until I caught them at Coachella via a Web cast of their Weekend #1 performance a week earlier. After catching that powerful set, I knew I had to catch at least part of their performance on the Outdoor Theatre stage on April 18. "Better Strangers" featured a heavy, blues-rock sense, but like all of the band's material was simply presented with a pedal-to-the-metal fury. The epic closer "Out of the Black" was simply amazing, with the band members performing at breathtaking speed in perfect unison. While Toro y Moi (the stage name for Chazwick Bradley Bundick) came off as relaxed in his late afternoon set inside the Mojave, make no mistake the singer-songwriter/multi-instrumentalist generated plenty of excitement in the packed tent. Featuring songs off his outstanding new album "What For? ", Toro y Moi opened with that disc's opening track ("What You Want") blending power-pop and indie rock in magical ways. Other highlights of his 45-minute set included "Living High" (sounding like an intoxicating cross between Zero 7 and the Shins) and the undeniable melodic pop-rocker "Empty Nesters." Hozier performing on the Coachella Stage. Like Alabama Shakes, Hozier's booking at Coachella couldn't have been more perfectly timed. The Irish singer-songwriter lived up to the promise he exhibits across his wonderful self-titled 2014 debut. "From Eden," with its sparse acoustic blues soundscape was an early standout, while "To Be Alone" with his Delta blue-influenced guitar work allowed his soulful vocals to shine. The infectious and Memphis soul-styled "Someone New" had many in the packed crowd clapping along in a feel good spirit. Other notable players who performed on day two of weekend 2 included the London-based electronic artist Tourist, neo-soul collective St. Paul and the Broken Bones, and the wonderful Scottish baroque pop-rock ensemble Belle and Sebastian. With a multitude of places to catch music going on simultaneously there are often sacrifices to be made. I sadly missed the majority of Andrew McMahon in the Wilderness; I can testify that singer-songwriter Andrew McMahon rocked the faithful with several wonderful tracks from his latest album including the confessional "Maps for the Getaway" and the instantly-memorable "High Dive." One of the exciting things about Coachella is that even by day three, there is little sense that things are "winding down." That was never truer than 2015, when Sunday boasted as many top-tier performers as ever. It points to either the depth of Coachella or simply oversight, but only those who arrived early on the final day of the event caught acclaimed Canadian rockers Sloan. The Toronto, Canada-based outfit is one of that nation's most beloved rock bands but has sadly been mostly overlooked in the U.S. I count myself fortunate to have now discovered the quartet, which unleashed 40 wonderful minutes of potent power-pop and indie rock. All four members sang and showcased their top-tier songcraft throughout. With the possible exception of DADA, I can't recall a '90s-spawned melodic rock outfit with the ability to blend experimental and tuneful sensibilities so powerfully. I definitely count Sloan as one of my top discoveries as Coachella 2015. Traditional country music is in great hands thanks to Sturgill Simpson, who celebrated its roots with contemporary firepower inside the Gobi Tent. Opening with "Life of Sin" off his 2014 album "Metamodern Sounds in Country Music," the Kentucky native and his four-man outfit proceeded to mine the richest traditions of Nashville and Appalachia. "It Ain't All Flowers" found Simpson playing acoustic guitar blending country-blues, while he later dipped into his debut to tear through the country rocker "Railroad of Sin." Rockers Built to Spill are not only back with a terrific new album ("Untethered Moon"), but rocked the Outdoor Theatre with firepower equal to the searing temps that greeted fans brave enough to stand in the sun and rock out to the Idaho-bred outfit's Dinosaur Jr. meets Neil Young graceful approach to distortion, hypnotic rhythms and authentic vocals. A gentle "Things Fall Apart," wistful "Carry the Zero" and blistering "Sidewalk" were all reasons to endure the heat to watch the performance. Phil Selway performing in the Gobi Tent. Best know as the drummer for Radiohead, Philip "Phil" Selway is also a skilled songwriter and compelling singer. His fast-paced 45-minute set inside the Gobi allowed Selway to focus on his unique gifts in a relatively intimate setting that proved to be another of the festival's welcome bookings. Backed by three musicians who each played different instruments, Selway himself would rotate from guitar or keyboards to standing in front of a mic holding small percussion shakers depending on the song. "Around Again" with its pulsating beat and prominent bass line was particularly dynamic. "A Simple Life" featured Selway's emotive and gentle vocals that were presented over a simple melody while a rapid rhythm fired in the background. An experimental set worthy of a member of Radiohead, Selway closed with "Coming Up For Air," a wonderful song that somehow blended electronic and folk together effortlessly. Of all the 30 or so part- or full-length performances I caught over the fast-moving weekend, I might put Florence + the Machine's Coachella Stage set at the top of the list. Although the English songstress Florence Welch had broken her right foot jumping off the stage a week earlier and was confined to sitting on a stool this night, that did little to diminish the power of her songs and delivery. It was simply breathtaking to hear Welch deliver involving already-classic cuts ("Dog Days Are Over," "Only If For a Night") and songs off her forthcoming third album ("Ship to Wreck," "How Big How Blue How Beautiful") in the magical setting. Ryan Adams early in his set. I was also impressed by Saint Motel's set that played out under blistering temps on the Coachella Stage, Jenny Lewis' enthralling Outdoor Theatre appearance, Ryan Adams' Americana-meets-alt rock set and Fitz & the Tantrums high-energy, dance-minded celebration that closed out the Outdoor Theatre. Thinking back on the more than two dozen acts I caught over three magical days in Indio, it strikes me of the more than 100,000 people who attended the festival each likely had a completely different experience. I may have missed a couple of essential performances, but I did make sure this year to spend some time checking out the interesting and impressive artwork as well. All of it made for another great Coachella experience. Make sure to check out writer George A. Paul's overview of the festival here. While the 16th edition of the Coachella Valley Music and Arts Festival is now in the history books, the expansive Empire Polo Club in Indio is now set to host yet another legendary event. California's biggest country music event, Stagecoach, arrives in Indio, California, April 24, 25 and 26, 2015. The three-day event features a diverse lineup of famed performers ranging from contemporary commercial hit makers (Tim McGraw, Miranda Lambert, Blake Shelton) and traditionalists (Sturgill Simpson, Merle Haggard) to bona fide Americana heroes (Steve Earle, The Lone Bellow, Nikki Lane) and rock 'n' roll icons (ZZ Top, George Thorogood and the Destroyers, Eric Burdon & the Animals) that collectively offer a lot of everything to everybody. Here is my far-from-complete list of "must sees" at the annual festival, which draws tens of thousands music fans to the Coachella Valley every spring to take in not only great full-length sets from a wide range of artists but great food, drink, eye-catching artwork and a number of other activities. 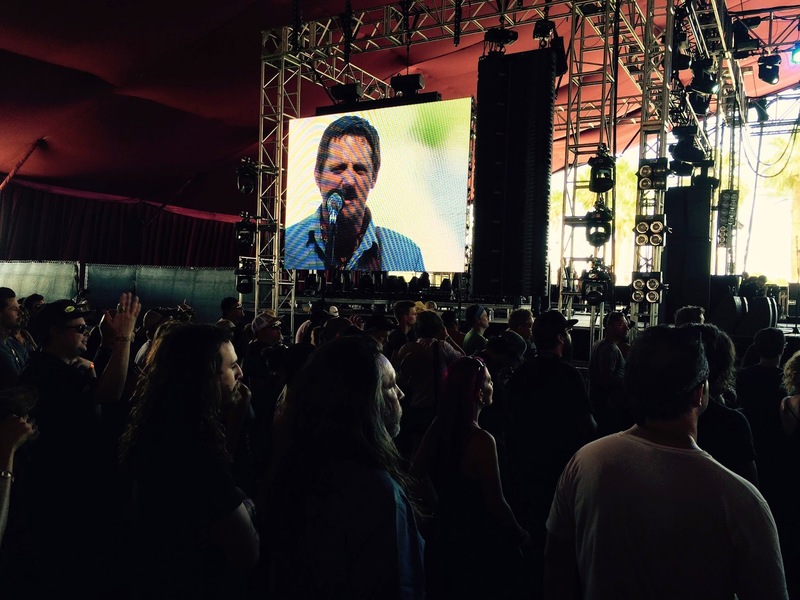 the Gobi Tent at Coachella on April 19, 2015. There is a reason that Sturgill Simpson was picked to perform at both the acclaimed Coachella and Stagecoach Festivals in Indio, California this spring. The Kentucky native’s outstanding sophomore album Metamodern Sounds in Country Music is both a celebration of authentic country and genre-bending modernism. Highlights include “Turtles all the Way Down” with its perfect mix of country and gospel, “Long White Line” featuring a swirling psychedelic finish, and the tender “The Promise” with Simpson’s voice mostly hushed until a soaring finale reveals his baritone at its most ardent. Eventually, everybody seems to get the blues. Look no further than the latest release from Steve Earle & The Dukes. While best known for his celebrated string of alt country, roots rock and Americana releases stretching back to 1986, Earle’s Terraplane is an authentic celebration of post-Robert Johnson Delta blues. Whether performing Johnson-styled blues (“Ain’t Nobody’s Daddy Now,” “Gamblin’ Blues”), pensive modern folk blues (“Better Off Alone”) or blues rock (“Go Go Boots Are Back,” “King of the Blues”), Earle’s latest batch of originals are rendered with a richness that draws comparisons with the excellent Ben Harper and Charlie Musselwhite 2013 collaboration Get Up! I last caught Earle in a solo acoustic tour in May 2014 and he was terrific; I can't wait to see him backed by the Dukes at Stagecoach. Although she got her start as a backup singer for her ex-husband Neil Young, Pegi Young has earned some well-deserved praise since setting out on her own in 2006. Now touring behind the strength of a very solid album ("Lonely in a Crowded Room), the singer-songwriter and her band the Survivors (keyboardist Spooner Oldham, guitarist Kelvin Holly, bassist Rick Rosas and drummer Phil Jones) are set to offer up a winning blend of folk, country, blues, R&B and rock in the California desert. 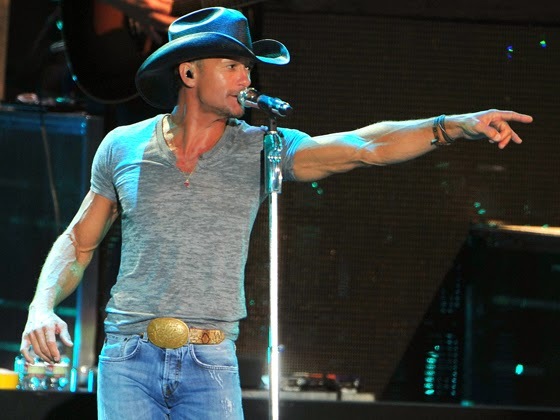 Tim McGraw comes to Stagecoach armed with an amazing legacy that includes 13 full-length studio albums (the latest, 2014's wonderful "Sundown Heaven Town"). His live shows offer plenty of hits, with the material ranging from high-energy dance tunes to tender ballads. Merle Haggard (along with the late great Buck Owens) is not only a primary architect of the so-called "Bakersfield sound," but is among the greatest and most important living country music artists. There is simply no reason not to catch "Hag" when he steps on stage at Stagecoach. Who wouldn't want to see the 78-year-old legend perform "Okie from Muskogee," "Mama Tried" and the beautiful "Twinkle, Twinkle Lucky Star." Other must see artists on my Friday wish list include songstress Kacey Musgraves, Nashville collective The Time Jumpers and Canadian country music singer-songwriter Lindi Ortega. 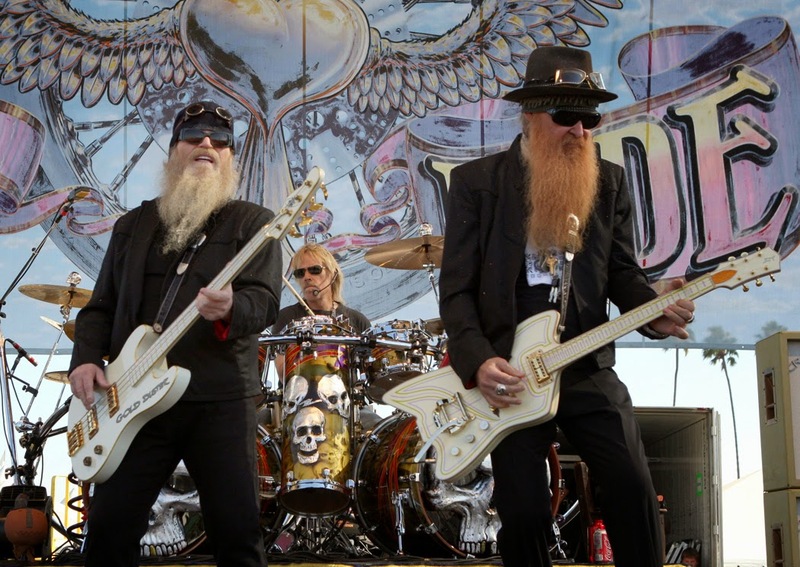 Rock and Roll Hall of Famers ZZ Top in action. Although Rock and Roll Hall of Famer ZZ Top isn't technically the headliner on Saturday night, the band will draw like one. The Texas trio will fuel the party while unleashing "La Grange," "Cheap Sunglasses," "Legs," "Sharp Dressed Man" and other radio staples. You can take it to the bank how well the band will kill it at Stagecoach. The Cadillac Three is a hard-rocking country-meets-rock trio whose powerful originals includes "Peace Love & Dixie" and "Party Like You." Other must sees include singer-songwriter Nikki Lane (whose 2014 LP All Or Nothin' was one of best roots releases of the year), and Nashville-based singer-songwriter Caitlin Rose. brand of blues-rock to Stagecoach. 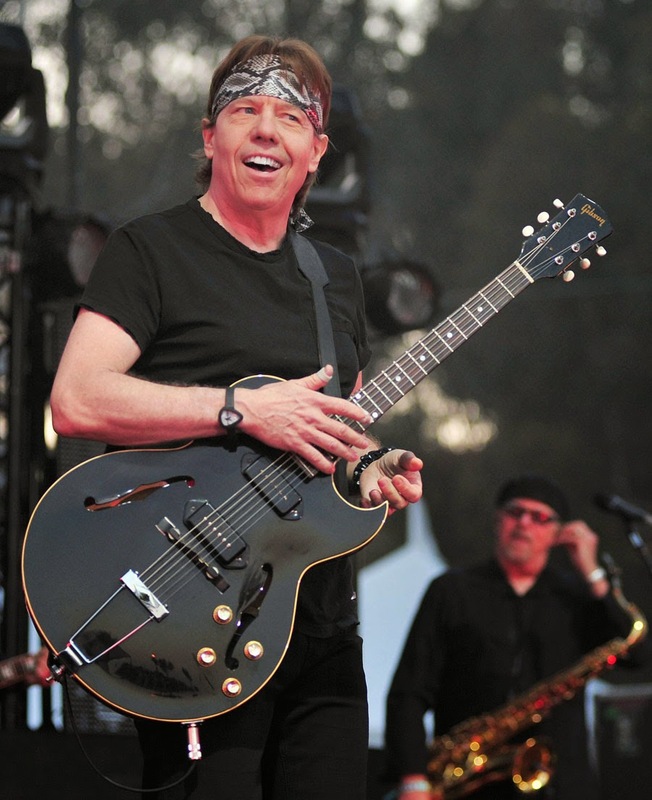 George Thorogood and the Destroyers have scored a number of memorable recordings. "Bad to the Bone," "I Drink Alone" and "Move It On Over" will be among the staples the Wilmington, Delaware-born Thorogood and his outfit will unleash on Sunday. Eric Burdon and the Animals (yes, that's right) will be among the genuine stars performing on Sunday. Although best know for their number 1 hit single "House of the Rising Sun," singer Eric Burdon and company will likely thrill Stagecoach-goers with classics such as "We Gotta Get Out of This Place" and "It's My Life" too. I love the blues-rock showcase "Don't Let Me Be Misunderstood." Although not as well know as they were in the late 1970s, the Southern rock-country outfit Outlaws will definitely get the crowd going with their timeless hits "There Goes Another Love Song" and the epic rocker "Green Grass and High Tides." Among the young artists set to ignite the event on Sunday are the "Ozark Stomp"-minded Ben Miller Band and celebrated singer-songwriter Andrew Combs. Fans of high octane power-pop (and of The Knack specifically) will be excited by the news that Omnivore Recordings has announced plans to release deluxe editions of The Knack's last three official releases beginning next month. Here is some information on the trio of releases courtesy of Omnivore Recordings. Nearly 20 years after their iconic debut, The Knack returned proclaiming “Pop is dead! Bring your shovel!” But, Zoom proved this was anything but the case. With new drummer Terry Bozzio (Missing Persons, Frank Zappa), Doug Fieger, Berton Averre, and Prescott Niles delivered the album Knack fans had been waiting for—one Fieger often cited as his favorite. Beginning with Havin’ A Rave Up! Live In Los Angeles 1979 and Rock & Roll Is Good For You: The Fieger/Averre Demos, Omnivore Recordings is ready to bookend and complete The Knack story by reissuing expanded versions of their final three albums, beginning with 1998’s Zoom. The album’s original 14 songs are joined by 5 bonus tracks, 4 previously unissued! 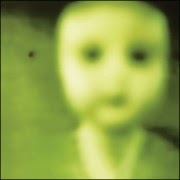 “She Says” (recorded during theZoom sessions) first appeared on the now out-of-print Proof: The Very Best Of The Knack. Three demos and a Bozzio helmed version of their classic “My Sharona” round out the remastered audio program, which includes set-list staples like “Pop Is Dead,” “Can I Borrow A Kiss,” and “Harder On You.” With fresh artwork and liners featuring a new interview with Averre and Niles, this version of Zoom will not only excite their fan base, but introduce the group to a multitude of new listeners. It’s time to get The Knack again—and this reissue of Zoom takes its rightful place as an essential part of their catalog! No one expected another album from The Knack. But, those who knew where to look were overjoyed with 2001’s Normal As The Next Guy. It’s safe to say that The Knack were never given their due as an album act. Normal As The Next Guy would ultimately serve as their final studio release—and it contained everything they’d worked on and perfected up to that point. Touching on every genre they’d previously tackled, from the pop of “Disillusion Town” and “It’s Not Me,” to the Beach Boys-psychedelia of “The Man On The Beach” and a re-recording of Serious Fun’s should-have-been-huge “One Day At A Time” (which was climbing the charts as their then label folded), Normal As The Next Guy serves as a fitting bookend to where the band came from, and what they’d achieved. And, how musically powerfully they always were. 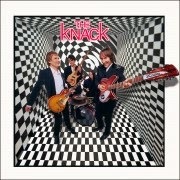 After 6 studio albums and 3 decades of playing together, The Knack released their first official live album in 2002. The “soundtrack” to a performance on an imaginary 1960s television broadcast, Live At The Rock ‘n’ Roll Fun House was the culmination of the reason everyone “got” The Knack in the first place. In addition to new artwork and liner notes, as well as remembrances from members of the band themselves, this version of Live From The Rock ‘n’ Roll Fun House contains two tracks recorded for the original CD/DVD, but never issued until now; Normal As The Next Guy’s “It’s Not Me” and “Seven Days Of Heaven.” The addition of those tracks now represents material from all of their studio releases. 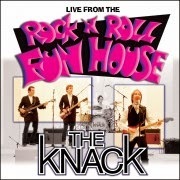 Live From The Rock ‘n’ Roll Fun House offers fans everything they love about The Knack—stellar songs and a rocking performance. While this would be the last album released by the group before the passing of Doug Fieger, it represents why they maintained a rabid fan base. They were an incredible live band. So, get your tickets for the Fun House! You’ll be glad you did. For more information on all things Knack, visit: http://omnivorerecordings.com/.